Donnie Williams began his martial arts training in Texas with a brief introduction to the shotakan karate system under sensei Jerry Atkins. Shortly thereafter, he enlisted in the U.S.Navy. His four-year tour took him to Korea, where he received his first exposure to taekwondo. Williams immersed himself in training and continued his studies after returning to the states. Settling in California, he began training in that Korean art with master Byong Yu. It was during this time of tournament competition that Donnie Williams met Steve Muhammad. During the ensuing 14 years, Williams learned about Muhammad’s deceptive kenpo techniques. As a co-founder of the Black Karate Federation, along with Steve Muhammad and the other visionary African-American martial artists of his time, Donnie Williams was particularly instrumental in molding an organization that would represent, train and support black martial artists and tournament competitors nationwide. His outspoken, yet firm and friendly approach – combined with the quiet leadership of Steve Muhammad – helped to carve a trail that hundreds of inner city youth would follow for decades to come. As his experiences with the life-changing benefits of martial arts study became more apparent, Donnie Williams began to more vigorously pursue his spiritual calling. This has led to what Williams acknowledges as his most significant achievement. 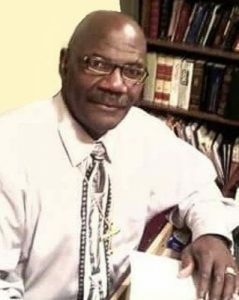 Today, Donnie Williams is more often referred to as Bishop Williams since becoming an ordained Bishop of a non-denominational congregation in Southern California known as The Family Church. As a minister and spiritual guide, Bishop Williams infuses every sermon with his full life’s experience as a warrior, leader, media personality and teacher.